You’ll be surprised how many Photoshop brushes there are for things you’ve always tried to create by hand. 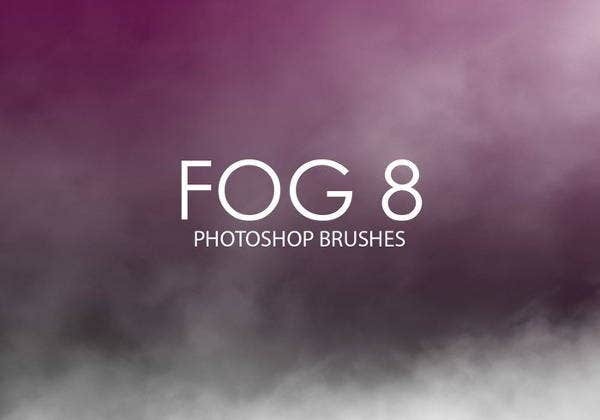 If you’ve ever tried to replicate a spooky forest scene, a gloomy London street, or even a smoke-filled concert stage, you probably tried using Photoshop’s air brush over a photograph to create some fog. No more. 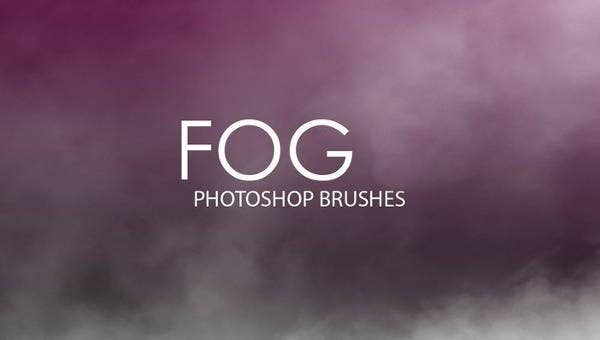 These fantastically realistic brush sets give you the foggy look without you having to constantly adjust opacity, size, and color to get it looking just right. You will have to buy some of these ABR (Photoshop brush) files, while others are free to download and use under the Creative Commons license. Be sure to check the product specs on the download page, and then let your imagination drift free. 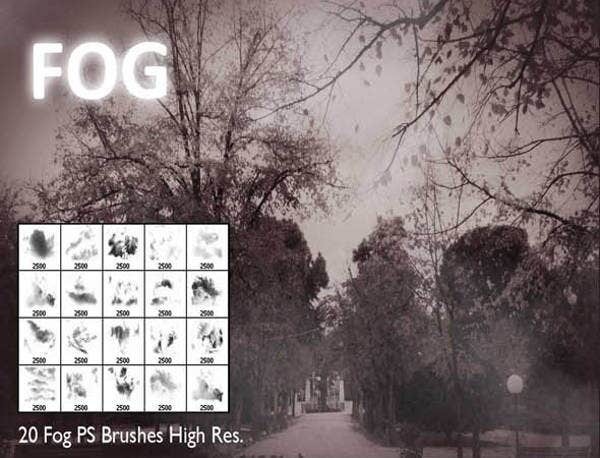 Why Should I Use Fog Brushes? You shouldn’t. Unless you care about high-quality, convincing effects. 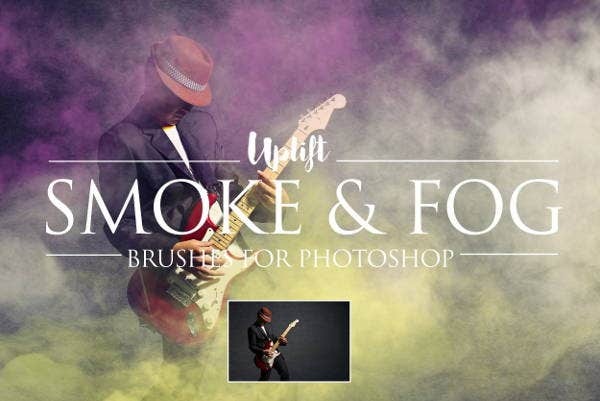 Cloud brushes, fire brushes, and smoke brushes are just some of the custom-made pattern brushes developed to counter the inefficient and often time-consuming habits of digital painters and photo editors who try to do it by hand and get inconsistent (and maybe even unconvincing) effects. 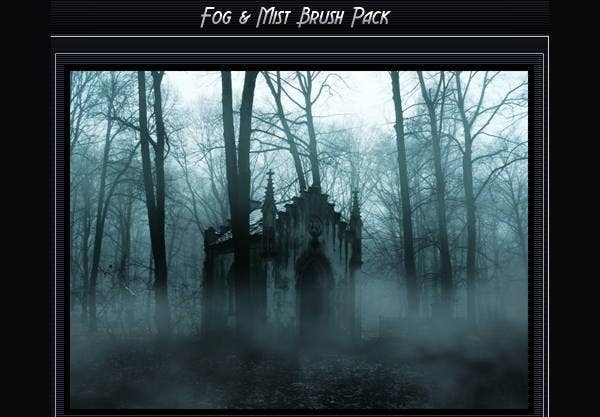 These fog brushes in a pinch could work well for smoke as well as the flimsiest of clouds. The beauty of presets is that they often give you a range of options that you can replicate easily over many projects. As ABR files, you use them as you would any Photoshop brush, recommended in a “dab” style instead of dragging the brush around the canvas. 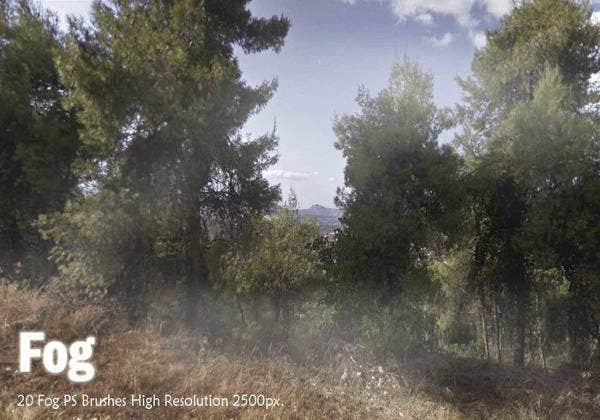 Make sure to study pictures of actual foggy landscapes so you know where to put them and how much. Usually fog will be clustered and hanging suspended a few feet from the ground like a blanket. Mountaintop views will show them a bit like clouds. When in doubt, go easy on the use, or go heavy if you know what you’re doing. Licensing restrictions may apply. Some great brush sets here are royalty free, but if you have to buy a set before you can use them, safe to say you are licensed to apply them to commercial projects. Trust me, these are worth the money. A few bucks can save you a lot of time and effort down the road while upping the quality of your work. A lot of digital artists at the top of their game started out using free resources. But once you go pro and find you need to get even better, sometimes only the best tools money can buy can get you there. Flexibility may apply. 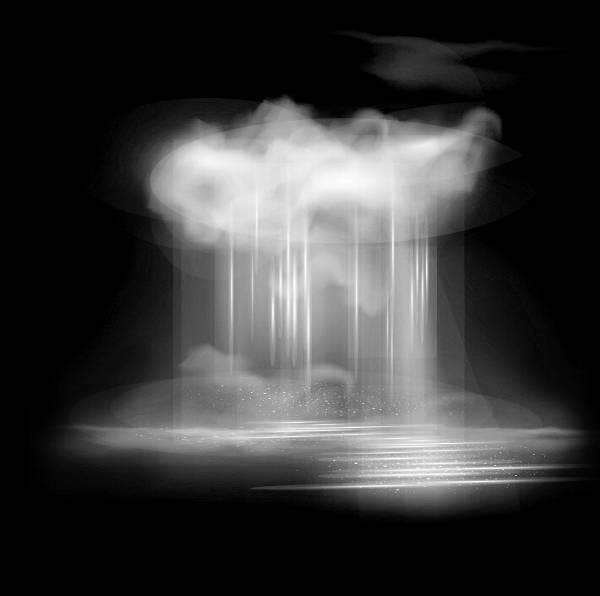 If you’re trying to decide between cloud brushes and fog brushes, know that if you up the opacity on a fog brush, you can create a cloud, and cloud brushes with the opacity down might work as fog to an extent. It’s still recommended you get them separately, because fog is more formless than clouds, and sometimes another digital painter will be able to call you out on this. Use your artist’s intuition.